I met Hawa briefly about a year and half ago at a client’s office. She told me at the time that she escaped the 90s civil war in Liberia. 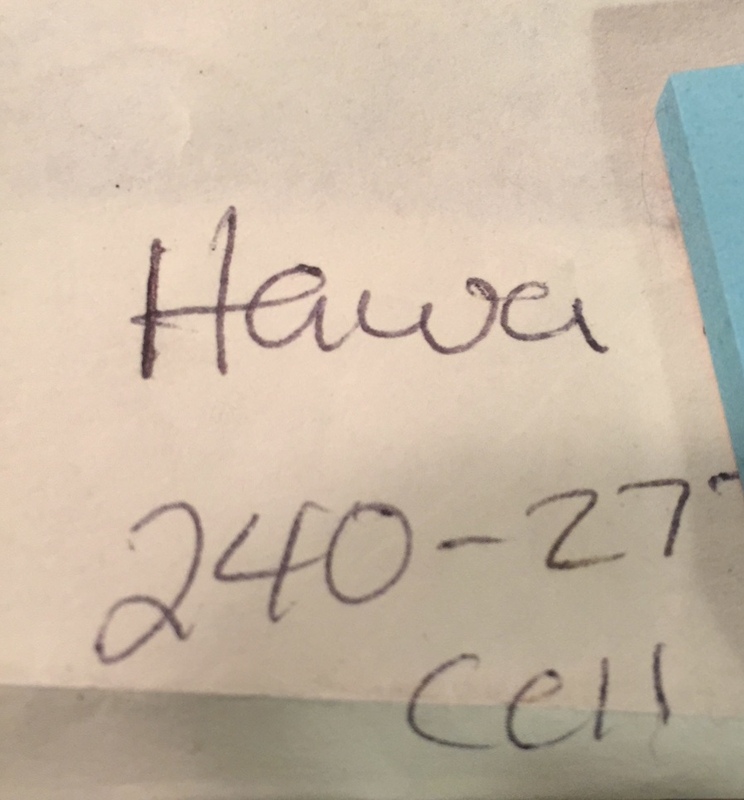 Hawa wrote her name and phone number on a yellow stickie. Two weeks ago I called and we’ve met twice for coffee. When the killing started around Monrovia in 1990, Hawa holed up with three dozen extended family members in one house. Nightly bombings. Running for cover . . . again and again. Surviving almost a year on sporadic meals of only buckwheat and sips of weak Lipton tea. Cholera ravaged Hawa and most of her family with relentless diarrhea, vomiting, dizziness and grossly swollen stomachs and feet. Eventually, the American military and humanitarian groups helped Hawa and thousands of her countrymen with survival basics and a fresh start. Hawa was granted asylum to America in 1997 and has lived here ever since. 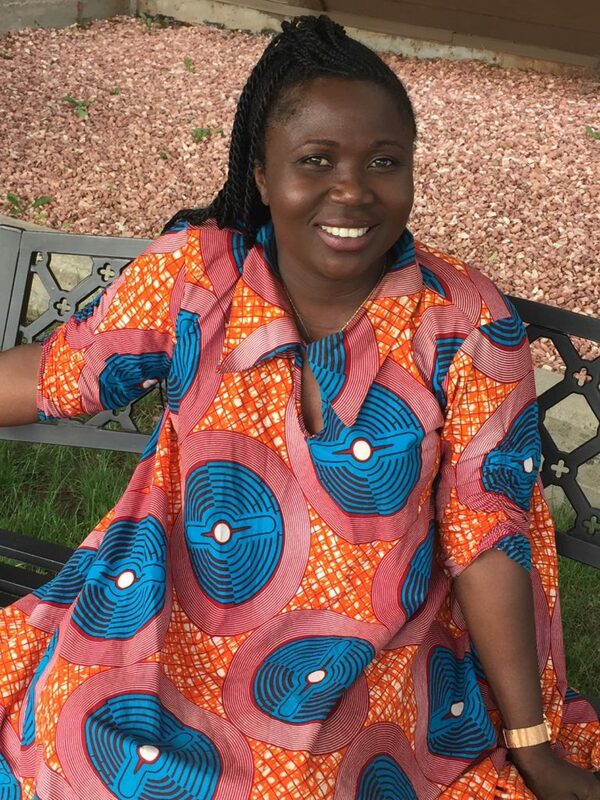 Hawa explains how she escaped one war in her homeland to enter another war when her military husband’s PTSD and mental health problems escalated into abuse. She’s now a single mother of three children, recovering steadily from her abusive marriage. She adores her kids and works in special education in an elementary school. Hawa is more than a survivor. She’s a thriver. “What kept you going all those years in Liberia?” I asked Hawa yesterday. And what about Hawa’s takeaway message to the rest of us? “You can’t give up on God. You have to believe His words and believe that there is a purpose to your life. I think many Americans are not grateful and they complain about a lot of things,” Hawa reflects. “There are some people who just want to have food to eat and live. I am grateful when I see the sun in the morning and I’m grateful for peace. Well said, Hawa. Well said. Thank you for reminding us all to curb our complaints and step up with our gratitude. And thank you for your inspiring resolve to never give up. I would like to meet Hawa! Amazing woman! Thank you so much ! Amazing you are as well! Thank you, Hawa. God continues to guide your steps for good. Thank you so much ?? It will be an honor to meet you as well. Shelly and Hawa, you two would instantly connect. Very inspiring, Beth. And so grateful to hear the American military made a difference. Thank you, Nancy. Hawa praises our military and all the assistance from multi-national humanitarian groups. It is encouraging to know that relief efforts do make a difference. Beautiful Hawa and the conversation you two continue. Love especially the image of Hawa’s grandfather covering their family in God’s promises each day by reading a book of prayers over them. So simple and powerful a thing in the middle of chaos and war. Thank you for sharing Hawa’s story. Love. Thank you, Jeanette, for pointing out the beautiful and profound simplicity of Hawa’s grandfather speaking words of life over his family when death was invading all around. You are always so insightful about the deeper meaning in stories. Bless you, my friend.